The first episode of the Maldivian Idol season 2, premiered on 27 January 2017, bringing an end to the long wait of the whole nation. Maldives enthusiastically waited for the second season of Maldivian Idol after a successful first season of the franchised reality show. 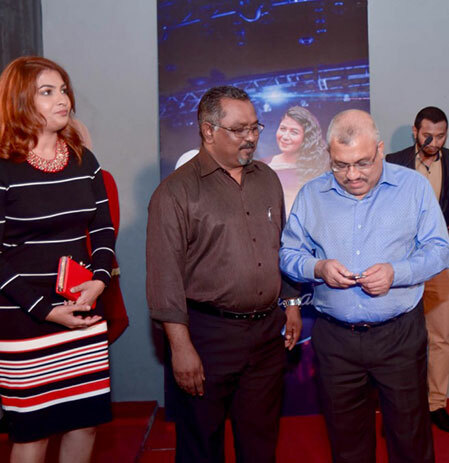 The much awaited show premiered on 27 January 2017, at a red carpet event hosted by Public Service Media, with the Vice President of the Maldives as the esteemed chief guest. Season 2 of the highly anticipated, most popular show, ‘Maldivian Idol’, a franchise of Fremantle Media, is going to be bigger and better, with more competitiveness among the talented contestants of the season. The contestants are being judged by musically gifted and experienced artists, Mariyam Unoosha, Ibrahim Ali and Ismail Affan. On the premiere night, Male’ audition was telecasted, giving the viewers a glimpse of the talents of the participants of this season. Families and friends gathered in front of the TV, to watch their favorite show, hoping to get entertained. From the epic scene when the Maldivian Idol judges were ‘activated’ to the beatboxing and storytelling of the contestants, the show was full of fun moments, that left the viewers in fits of laughter. One thing that all the viewers can agree on is that the premiere show did not disappoint and kept the country as a whole wanting more.